Is it less embarrassing than the tuxedo Snuggie, or more? For the folks who take their couch potato-ing very seriously, Microsoft has something up its rollable sleeves for you. 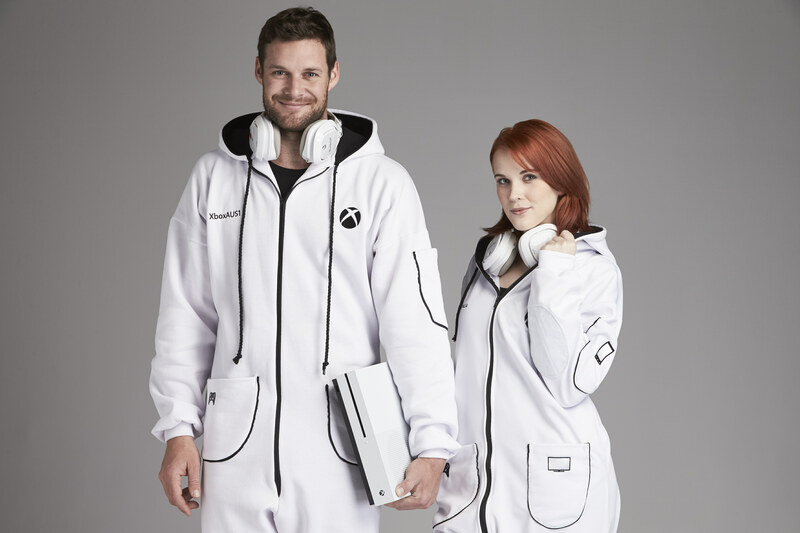 It's called the Xbox Onesie, and, as you might expect, it's an adult-sized pair of zip-up pajamas packed to the seams with purpose-built, Xbox-themed accoutrement. We're talking oversized pockets for gamepads and remotes, an arm pouch for your phone and a giant hood that shouldn't interfere with even the bulkiest of headphones. That's in addition to "forearm grips to prevent slipping on those 'edge of your seat' moments" and the option to have your Gamertag embroidered on the getup. There is a catch, though. The Xbox Onesie is an Australia-only item for now, and even then, if and when it'll go on sale isn't clear. The items you see in this post were created to commemorate a regional study regarding media consumption. A Microsoft spokesperson tells us that availability details about the limited edition attire will be ready "soon." Oh, and the Onesie is available in white, and, unlike the One S itself, black. Sure, the whole thing looks super comfortable (and follows the Xbox One S' stylings pretty closely), but don't you already have a Snuggie collecting dust in your closet?